With PeopleTrax™, you can locate individuals without having a Social Security Number. Search Criteria such as name and last known address can be utilized to get results. Using a proprietary compiler compilatior of data sources, PeopleTrax™ delivers an unparalleled level of high quality matches. PeopleTrax™ has compiled one of the industry’s largest databases of accessible information, and searches records that cover recent relocation, to historical addresses that can date back more than 30 years. Beyond using this tool for job applicants, PeopleTrax™ also can be used for many other business purposes – such as tracking beneficiaries, collections and delinquent account holders. PeopleTrax™ also can provide previous addresses and location information for relatives, associates, and neighbors. As a result, PeopleTrax™ is the most accurate and detailed source available for historical information on individuals. You can enter any combination of information you have, including last name, first name, Social Security Number, street address, city, state, zip code, phone number, date of birth, and age range. For the most accurate results, the best single qualifier is the last known street address. If there are more than 100 records found, based on the information you enter, you are prompted to add other information, such as city, state, DOB, or age range to narrow your search. You are only charged when information is returned. Immediate results are available through Fastrax Select®. 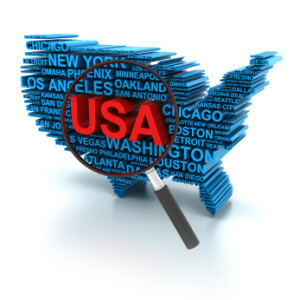 Click here for a full description of the PeopleTrax™ background check.